A more powerful version of the SW151 the SW201 has a stronger motor, resulting in a greater pressure and more water movement resulting in better cleaning times. 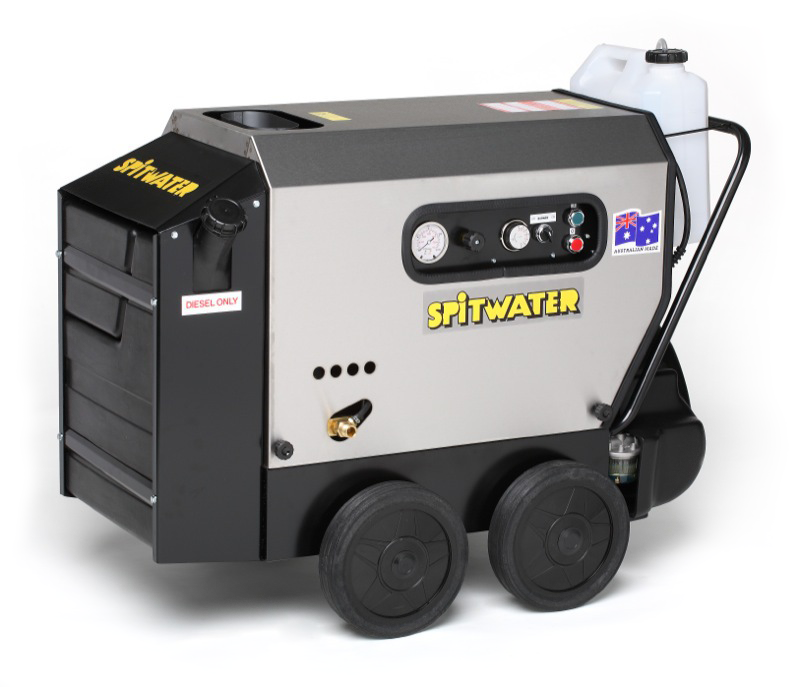 Used frequently for grease and oil removal and commonly in the aviation industries, including the military, this machine comes with a 10 metre high pressure hose, a high pressure gun and double lance with adjustable pressure, and an adjustable detergent injector with a 10L bottle. As an industrial Spitwater machine it also comes with additional preservation mechanisms including an automatic four minute shutoff after non use. Please note: This machine requires a 20 AMP plug for normal use and diesel as well for hot water use.